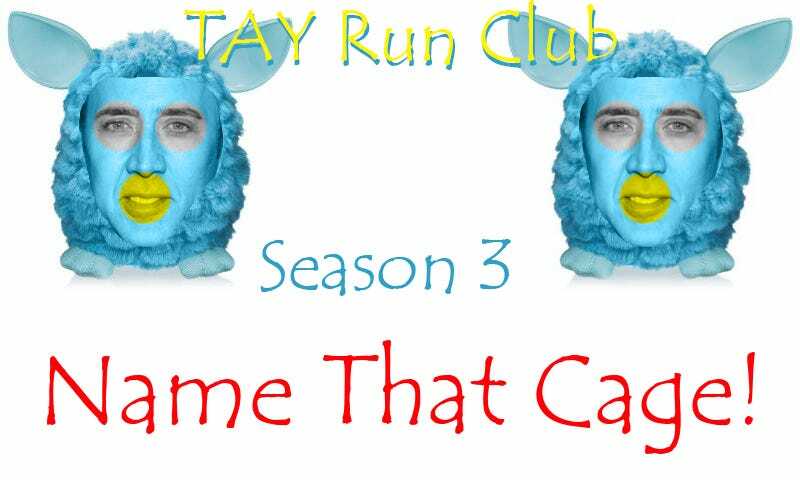 First, how’s everyone enjoying Run Club season 3 so far? Anyone still confused on how to log points? Did everyone uncover picholas cage? If you can’t get on the spreadsheet it means I’m editing it. Try again in a few minutes. If you don’t highlight your points/representative picture, I will not uncover it. I’m not going to play the game for anyone this time. So there could be 3 separate winners (or one team could sweep all three awards). These are fancy awards. Made on paper plates and everything.